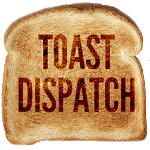 Welcome to Season 2 of ToastDispatch Radio! We jump back into a fresh new Blues season with special guest Blues Alumni Jamie Rivers, Minnesota ESPN Producer Declan Goff and our good buddy Liam Goff from the Lost in the Wild Podcast is back as well! We’re also joined by 2nd City Hockey writer Robert Zeglinski. 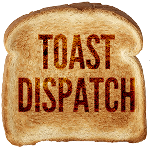 Over the course of the show we’ll break down the Yakupov trade, talk about Jake Allen’s injuries, preview the Central division, and talk to Jamie about how he ended up walking out of the hospital with his death certificate in hand, and food related injuries. Note: Jamie Rivers interview starts at the 1:02:30 mark.